Since the last set of results Virgin Media has had to contend with some naughty contractors in Wrexham (here) and they’ve teamed-up with a graphic design firm (Shutter Media) to test out some new camouflage wraps for their street cabinets (here). On top of that we also recently reported on the possibility that their Virgin Media Business division could be about to launch a new 500Mbps broadband tier (here). The big news today is that they’ve confirmed their plan to launch a 500Mbps (35Mbps upload) service this spring, although the results don’t clarify whether this will be coming to the residential or business side of their network first (we’re checking). The new tier, so far as we’re aware, will continue to use their existing EuroDOCSIS 3 network and not the forthcoming DOCSIS 3.1 upgrade (3.1 also requires a new router). Elsewhere we note that the pace of their £3bn Project Lightning network expansion appears to have dramatically increased during the final three months of 2018. 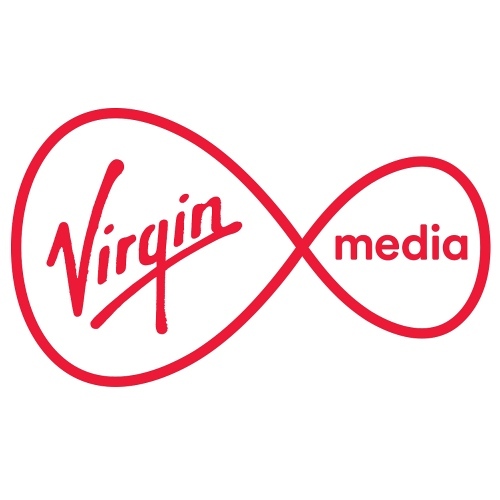 Virgin’s FTTP and Hybrid Fibre Coax (HFC) based EuroDOCSIS cable broadband and TV network has now reached an additional 1.6 million UK premises since it began in 2015/16. The original aim of this roll-out was to cover 4 million extra premises (17 million total or c.60%+ of the UK) by the end of 2020 (later revised to 2019 before it was discovered that they’d overstated progress), but c.3 million now seems to be a safer bet (here). However it remains to be seen whether they continue the roll-out beyond that completion date. On particularly interesting thing to note is that out of the c.481,000 premises they covered during 2018, some 60% of those were done using Fibre-to-the-Premises (FTTP) technology. This represents the first time that Virgin Media has given us any clear indication of the live FTTP vs HFC deployment split under Project Lightning (the original plan was to do 2 million via HFC and 2 million via FTTP). “The past fourteen months have been transformational for Liberty Global. After two decades of buying, building and growing world-class cable operations in Europe, we have announced or completed transactions in six of our twelve markets at premium valuations. Together these deals represent an aggregate enterprise value of $31 billion and net cash proceeds to the company, when completed, of $16 billion6. It has long been our ambition to create or enable national champions, and we couldn’t be more proud of these fixed-mobile combinations, which will challenge incumbents, accelerate innovation and benefit customers for years to come. After these transactions, in addition to a significant cash balance, a $2 billion strategic investment portfolio and over $2 billion in net tax assets, we will continue to be the largest cable operator in the U.K., Ireland, Belgium, Poland and Slovakia. Meanwhile the operator also confirmed that they had a total Mobile (EE MVNO) customer base of 3,039,500 (up from 3,031,200 in the last quarter) and 78% of their broadband base is now on an ultrafast (100Mbps+) capable package (up from 77%). We should also add that they have 4,571,200 telephone customers in the UK (up from 4,540,700) and 3,872,000 video / TV users (down from 3,901,400). On top of that 72% of their broadband base is using the Hub 3.0 (SuperHub v3) router (up from 68%) and 57% of their video/TV base uses their V6 set-top-box. We also note that Voice-over-IP (VoIP) services are now available to 42% of their UK cable footprint. We will update this article again once Virgin Media has provided some additional information about their new 500Mbps service. Mind you we really think they need to launch a better router (likely to be a variant of Liberty Global’s Gigabit Connect Box device) in order to make the most of such a plan, since the Hub 3.0 just isn’t up to the task; not least due to its WiFi performance. At this stage we believe that the new 500Mbps plan is likely to be launched as a speed boost to their existing 350Mbps package, but we have not yet had this confirmed. 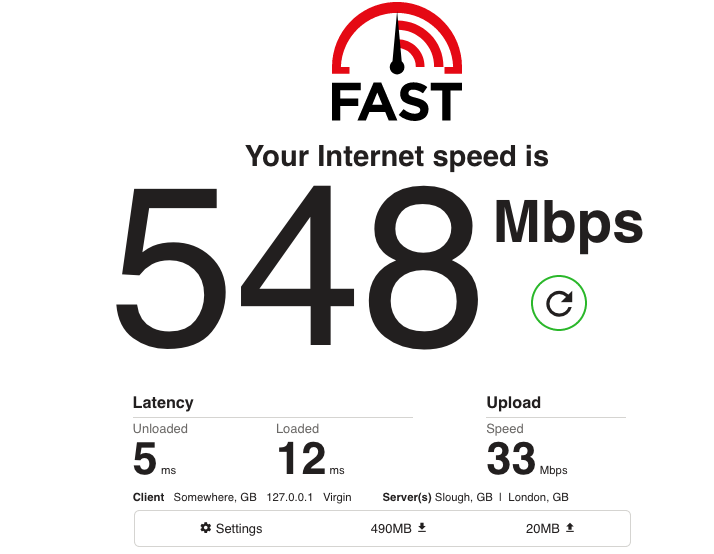 After speaking to Virgin Media we can confirm that the upload speed will indeed be 35Mbps and by Spring they mean the April/May 2019 window. We did ask some additional questions about whether it would be made available to business and residential customers at the same time, as well as how the upgrade would be implemented and if other packages would benefit from a speed boost, but no further details will be revealed until launch. NOTE: The downstream config rate for the new 500Mbps speed appears to be over-provisioned (Virgin always does this) at 575,000,000 (575Mbps), while for upstream it’s a similar story on 38,520,000 (38.5Mbps). Hence why their average advertised speeds often go above the stated plan speed, capacity allowing. Virgin has also hinted in a surprisingly low-key way about their plan to launch two “gigabit cities” this year, which is likely to reflect Liberty Global’s DOCSIS 3.1 upgrade (here). We’ve done a separate story for this as it’s quite a big development for a mere update. I’m not sure why any household has a need for 500Mbps, but it is great to see Virgin keep pushing the envelope. 5G will be the future for a large % of the population. It reduces waiting times, so that new game you just bought off Steam taking a few minutes rather 30-60. If you physically strap a 5G mobile to your head 24/7 for a couple of decades and leave it turned on during that time then it probably won’t do much good for your health (even though compression against nerves/veins will probably get you before the radio signals do), but if you use the phone in a normal / healthy way then there’s no reason to worry. Same goes for a lot of things, like driving cars, cooking or microwaving a meal, use in the correct way should pose no danger. Reading these posts about the impact of RF will fry my brain way before RF does. Crossing the road dangerous too maybe wear a tin foil hat 5G radiation protection. Just like 2g and 3g and 4g were frying our brains and have caused mass waves of deaths like all the tin foil hat wearing kooks said in the lead up to those technologies being implemented. Same as how there’s a group of people saying that smart meters emit harmful radiation. All a bunch of rubbish. Where is the proof? Show scientific evidence that it’s harmful to human health with realistic exposure levels. Then normal, reasonable people might take note. Otherwise you’re just the online equivalent of a hobo pushing a shopping trolley, beating a tin can shouting out “the end is nigh” to anyone with ears. ^ Amount of energy required at absolute minimum for ionization to happen. I was being ridiculously generous by the way, your body is harder to ionize. Noto5g – find the edge of the world, you probably believe it’s flat, and feel free to jump off it. The more kooks, cranks and conspiracy theorists that do so the less they pollute the gene pool and discourse with their stupidity and the better the chances of the human race proceeding in a more sensible, logical and pragmatic way. Lets see how the upcoming broadband delivered over 5G trials go. It may, in some areas, kill FTTP where there is a need for high speed, but not that high a bandwidth requirement. But obviously you do need fibre to the 5G base station. If they can get latency to be better than or comparable to FTTC then I’ll jump even if speeds remain similar to 4G. Europe has been enjoying 500Mbps+ speeds for a couple of years now thanks to UPC (Liberty Global). It’s about time Liberty Global picked up the pace in this country. In practical terms how much difference will 500Mb/s make? I’ve moved for 10Mb/s via 50Mb/s to 100Mb/s and now have a fast PC less than i year old. Sites are just not that fast anyway and today there is an increasing load of junk ad related scripts that you tow with you as you move to a new site. These scripts are quite slow to download and the site itself often doesn’t download fully until these have. Additionally some scripts can stop all downloading. I can’t say I’ve noticed much practical difference in downloading sites since being on 10Mb/s. If internet speed was the controlling factor downloads should be 10 times faster on 100Mb/s on 10Mb/s but I can barely detect any difference. The difference is when multiple people are visiting sites, or downloading files. There will be less impact to other stuff (streaming, surfing etc) with a higher speed. Latency does more to make sites load faster, also blocking ads and tracking help too. If you don’t use the internet very much you probably won’t see much of a difference. I’ve been running on the 500 mbps service trial since mid-January and while any excuse to go faster is nice it’s a slight anti climax as I now have the ability to go faster than some of the download services I’m connecting to. Some of the big name services like Steam can easily keep up but smaller sites can’t, mind you I see this on the 350 mbps service too. I’m also very close to outpacing my hard disks, so again, going much faster is going to a fruitless exercise unless customers are running newer hardware. The trials aren’t open to business customers. One was a trial for selected residential customers only, another a blind trial where residential customers were moved to Vivid 500 without being told of the change – it was on their modem and showed in their account pages. @Gavin I got an invite via email having expressed interest via the Community Forums, I’ve done a few trials now for different areas. @Park I do have an SSD on my system but I have my profile on a HDD, primarily for size reasons, I’ve got a 128GB SSD which is about 50% full, my profile is more than the space left on the SSD. I realise that SSD’s are rapidly coming down in price but I’m not looking to upgrade at the moment. Are Virgin still installing coax or is it full fibre now? FTTP installed to 6000~ properties on the ouskirts of an existing COAX area here. That was a new build, not an infill. Infill is where the odd street that wasn’t previously done gets covered. Each FTTP VHUB serves 3,000 premises passed so if you’ve that many to do, even if adjacent to existing HFC areas, it’s a no brainer. I don’t really care about the Superhub – I have it in modem mode connected to a Unifi router anyway, but the increase in upload is definitely welcome! Openreach already sell 1000/220 and 500/165 in Huawei served areas. Which is the majority of the FTTP network. Some time ago lived in one of East European country. On 2005 my broadband provider offers 100Mbps plans, at this moment offers 1000Mbps plans. And broadband over mobile 4G network with speeds over 140Mbps. Rich country like UK just talking about “ultrafast” 350 or 500Mbps broadband, but most area receive just under 60Mbps. Yawn… I knew this was coming. Fast internet makes living in those countries just about bearable. The networks in Eastern Europe were very poorly maintained so in a lot of cases technology skipped a generation. While we had BT trying to wring every last kilobit out of copper and Ofcom insisting they open up their network to all and sundry for pennies so that they can wring every last kilobit out of copper these guys jumped that. Plus, this is perhaps to do with communism, many people lived in government provided MDUs / blocks of apartments so FTTB as we have here via Hyperoptic made a lot of sense. That said, the exact same thing can be said about Japan, South Korea, Singapore, etc, etc. Where’s the comment from the guy on the Virgin trial gone? I’d be interested to know how they become trial customers. I’m really looking forward to this! Can’t wait to upgrade! That’s strange… Do Virgin not like money? Yes, they do. Which is why they appear unprepared to lose it building network out to there for right now. Hopefully the gigabit connect box is released with this speed tier. The superhub 3 just isn’t up to the task Doesn’t matter how great the service is. Works fine via the SH3. Didn’t realise you’d seen the source code detailing the fixes, Marty. The people testing it have been using them and seem not to have complaints about them. Who cares if virgin launches 2000meg in 2019 I hardly do any downloading anymore only Netflix and BBC iplayer. Oh to still be so egocentric that I think the world revolves around me. Think I grew out of that when I was in single digits years old as most do. 35Mbps upload is an improvement and I might be tempted but it depends on price. If you want to charge a premium for it your going to have to do a lot better than 35Mbps upload. Reduce the 500Mbps download and increase the upload. Or at least have the option for those who need better upload. Agreed if it was 50-70mbps upload I wouldn’t paying a premium for it at all. Considering you can not get anything faster on the download or upload from any major provider for the same money then i fail to see how you would be paying a premium for it. Wait for the prices £60 500meg a month next year price will be £78 so on con company. As things stand 500 is replacing 350. Please don’t come onto boards posting baseless supposition. Oh dear someone did not read the news item. CarIT,Virgin are a bunch of thieves my 350mb package went from £34 to £47 that in my 12 month contract quit defending virgin media they are robbing customers blind. £47 for 350Mb, Bargain, you pay more than that for 67Mb FTTC from BT. If they are thieves you must be either completely stupid or just out of touch with market pricing. James I can write whatever I wish within the rules of this media. My comment was nothing more than that Vivid 500 is replacing Vivid 350 by the looks of it. Your pricing issues are irrelevant to this. I’m delighted you’re so happy with your new supplier, especially the huge discount you apparently have from the normal pricing and have no idea why you would feel it necessary to spend time writing negatively on the old one if you have no further relationship with them. Kinda sad being so bitter about something that really doesn’t matter anymore. Im not paying over the odds, im not even in a VM area. As for your 3 broadband congrats on getting pricing which is not the RRP which you would also no doubt think is over the odds. Your calculations on what you think VM should cost also seem off compared to your 3 pricing. Dunno why you would think £10 for 50Mb would be any more reasonable if your 3 broadband delivers over 100Mb @ £6 per month. Then again you rarely make any sense on any VM story. Another user here paying 11 pounds on three uk unlimited data brand new contract haggle them over three live chat from £27 to £11 a month so fed up with virgin media charging insane prices now cancelled my 350mb broadband. Glad you are happy ‘Paul’. Though your other non punctuation (also hates full-stops), aliases would no doubt argue your £11 is a rip off as they only pay £6. Then again i doubt any of the multis know who they are with or what they pay. Or that any of them have VM at all let alone 3 as their main broadband provider. Still its better than your imaginary Fttpod cerberus quotes eh? Those were classics. Park, I just decided to run a speed test after seeing the news here. Upload seems to stop at 22mb. Oddly router my config is locked to 22 on upload, but set at 402 on download, seems able to get higher. I’m in a relatively new virgin area so may be very uncontended. If your config is locked at 402 down and 22 up then you are not on the new 500 Mbps service. fast.com isn’t the best , sometimes it shows mine at 700mbps so not sure whats going on with that site sometimes. but sppedtest.net always shows me around the 360mbps mark . Be nice if they could just give me WiFi that works in my house. What’s stopping you from buying your wifi equipment? Perhaps they could come round and demolish all walls inside your house for you, would that make you happy they have provided your wifi to your whole house then? Do you reckon those of us on 350 will be automatically upgraded gratis (correct me if I’m wrong, or this just a Virgin Media myth?) ?